Businesses are collecting more data about their operations and their customers than ever before. But data in itself is only part of the story. For it to be useful it's necessary to spot patterns and gain insights. At this point most businesses turn to analytics, but this can only tell you what's happened in the past. To predict future trends means using algorithms to build models of what may be complex systems. So, is it time to abandon analytics and turn to modeling? Or do businesses really need to embrace both? We spoke to Michel Morvan, co-founder and executive chairman of complex modeling specialist The CoSMo Company to find out more. 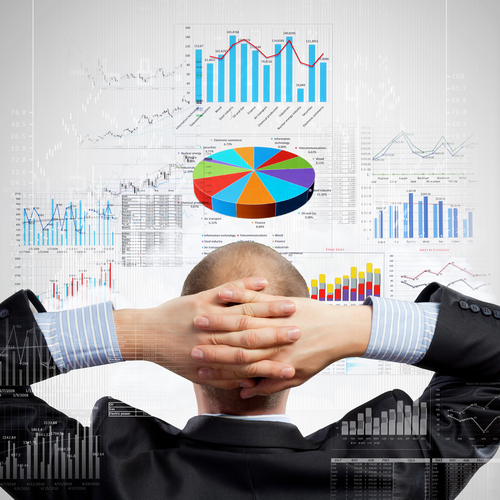 BN: Is analytics on its own no longer sufficient for business purposes? MM: It really depends on the business. Some can get by with a good understanding of what has happened in the past and using that knowledge to make decisions about what will happen in the short term. Their predictions won't always be right 100 percent of the time about what happens next but neither do they need to be. If Amazon or Google, for example, serve me product recommendations or advertisements that are right only 90 percent of the time, they’ll still be able to build a fantastic business on top of those analytics. Other business, though, need to get their decision making right a lot more often. A company that is making a significant strategic investment, a city that is building a new subway line, a pharmaceutical company that is launching a new drug -- all of these demand accuracy in predictions about the long term effects of their decisions. Traditional analytics can only tell such companies how things have worked in the past when what they really need is knowledge of how things will evolve in the future. BN: What can modeling offer that analytics can't? MM: Traditional analytics can tell business almost everything about what has happened in the past. Business can identify correlations in that data and use their knowledge of the business and their own intuition to decide what decisions to make next. Modeling and simulation, like that which we power with CoSMo technology, moves beyond this. We don't just identify correlations but instead identify causal relationships. This means that we can say what happened, why it happened, and whether it will happen again. What's more, modeling allows businesses to run multiple 'what if' scenarios to see the impact of their decisions over time. Instead of wondering whether a correlation will continue, modeling and simulation will show with certainty what will happen in the future under different scenarios. There’s really no limit to how many scenarios can be tested, how many variables can be adjusted, and all of this makes it possible for a business to determine the optimal decision to take with confidence. BN: When should businesses turn to modeling? MM: One of the things that is most interesting about modeling a complex system like a business is that the end result of the process pushes companies to transform themselves, and it’s always better to get a start on transformation sooner rather than later. What do I mean by this transformation? We've found that companies that start to see the interconnections between the different parts of their business and understand how decisions in one division affect other divisions are likely to change the way their businesses are organized and how different teams in that business work together. Decision-making processes change entirely when, for example, the finance team thinks outside of their silo or business unit and considers operations, asset management, and product teams. Companies who use modeling make better decisions because they start making decisions differently: they involve more people, they test more 'what if' scenarios, and they find the optimal result for the entire business understanding the cascading effects of those decisions on the business’s many units, not just one silo or division. BN: Is there an advantage to be gained by combining analytics with modeling? MM: Of course. Modeling is ideal for strategic decision making and many businesses will benefit from using a modeling and simulation approach -- something that Gartner has defined as 'Decision Management.' Key to this, though, is that the modeling is most effective for systems that cannot be understood through intuition or knowledge of the system alone. A complex system -- these are the types of systems we model at CoSMo -- cannot be understood or predicted without modeling and simulation. Simple systems, on the other hand, can benefit from an analytics approach. Where correlation is enough or where the system's evolution can be predicted simply, analytics can play a useful role. For businesses with a combination of simple systems and complex systems, there is a space for analytics and modeling to coexist. BN: Will increasing volumes of data -- from the IoT for example -- make gaining useful insights more difficult? MM: If a business is relying on traditional big data analytics then it will be easy to get overloaded with data without improving insights at all. It's for this reason that many businesses become despondent about big data and data science generally: they've been sold a solution that was meant to tell them all about their business, their customers, and how the future will proceed, but it just doesn't work. Throw more data at it? It still doesn’t work! A modeling and simulation solution, on the other hand, can draw on some data gathered by IoT devices but it is not a data driven process. A model of a complex system instead combines essential data with an understanding of the couplings and interconnections in the complex system to deliver the results that a business needs to make optimal decision.